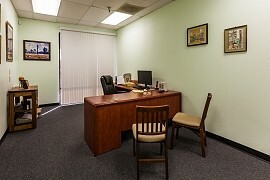 Our concept is very different from other tax offices. Where they treat you like a number, we treat you as a valued client. Our people are highly qualified, talented individuals, not the average tax preparer you normally find in a tax office. 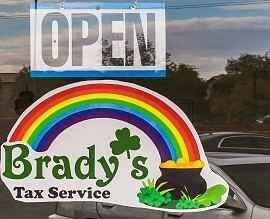 Welcome to Brady’s Tax Service where you can learn about our tax services, our tax professionals, new income tax rules and regulations from the IRS and how we treat you as the valued client you are to us. We believe in providing high quality professional income tax services to our clients at a low cost – going that extra mile – doing MORE than is expected. We don’t put people in costumes next to the road to draw attention to ourselves, we don’t spend tens of millions of dollars on national advertising – and we don’t have people working in our office who don’t know what they are doing. We just do an excellent job, each and every time. If you have an income tax question about the current year or want to plan for next year, send us an e-mail or give us a call – we’ll be happy to help you with your tax issues and answer your tax questions – because, after all, that is what you go to a tax professional for? We are here to help you all year long – not just 3 months out of the year. We are committed to excellence and professionalism. We are committed to our clients! We believe our services are as unique as our office is. Here you won’t be seated on uncomfortable chairs watching as someone types in your information – here your children can watch family friendly movies on a large screen television – here you are treated as a valued client rather than a faceless, nameless number. 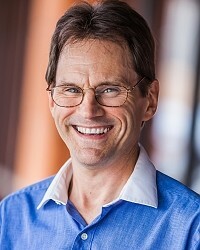 If you have a question or comment, feel free to give us a call or send us an e-mail. Thank you for visiting our website, and I hope to see you at the office soon.